The boy is not believed to have suffered any serious injuries. A 13-YEAR-OLD boy was taken to hospital yesterday after he fell into a sinkhole in Kerry. Valentia Coastguard said that it was alerted to the emergency at about 6.40pm yesterday evening which occurred just north of Kenmare. 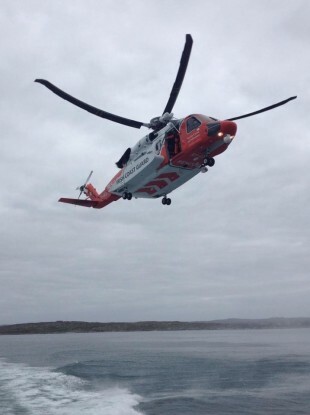 The Coastguard tasked the Rescue 115 helicopter from Shannon to attend the scene and help the boy. By the the time the helicopter arrived, however, the boy had been helped out of the sinkhole. The Rescue 115 helicopter flew the boy to Cork University Hospital but he is not believed to have suffered any serious injuries. Email “Boy (13) flown to hospital after falling into sinkhole”. Feedback on “Boy (13) flown to hospital after falling into sinkhole”.